Though probably not unprecedented, an incredibly rare thing happened in February 2009: The #1 comic book from the previous month charted in the top spot again. Diamond Comic Distributors' early wave of data on February 2009 comics sales, reported on Comichron here — finds Amazing Spider-Man #583 in the top spot for the second month in a row. Granted, these are reprints — probably predominantly the fourth and fifth printings. Historically, later printings have not always been counted in distributor charts as being the same item — but then, the January 2009 numbers merged the first three printings, so if we're counting later prints as being the same as originals, then merging them here follows the same rules. Throwing asterisks around gets pretty complicated, anyway: We've been merging variant covers that were not simultaneous releases for years in these charts, like for X-Men Vol. 2, #1 and Batman: Legends of the Dark Knight #1 — while there have always been things kept separate, like the direct market and newsstand editions of things like Man of Steel. Hairs can be split many different directions. Diamond calls the repeat unprecedented — and, certainly, within the Diamond Exclusive Era from 1997 to present, that is the case. Before that, I'm not so sure. One problem is that before February 2003, reorders did not appear in the sales charts — so a comic book would pointedly not appear twice. Were there comics that might have? I took a look at August and September 1991, when X-Men Vol. 2 #1 was cycling; readers may recall its release was staggered across multiple weeks with covers abbreviated A-E. (DC did the same thing with Legends #1.) The top book in September was Spider-Man #16, which Todd MacFarlane had returned to write — but would the reorder numbers for #1 have been enough to top its sales? 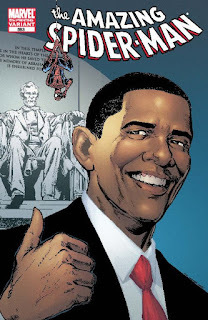 Very possibly: Capital City sold 228,900 copies of Spider-Man #16, but 1.87 million copies of the five covers of #1. With today's reporting, we might find that book topping the charts for both months, due to reorders. That's way before the Diamond era, of course. But while there are occasions like that where the same comic book may have been the top seller two months in a row, Diamond is right that the official charts have not reflected any such case — until now. So while it's probably not unprecedented, it's unprecedented enough! A note as to scheduling: Diamond is set to release more detailed data next week, but I'm on the road — I will be speaking at Midsouthcon in Memphis, March 20-22. I'll try to get as much data run as I can, but in the meantime, the February page has been established for linking.